Last night, the Naperville City Council voted 8-1 to approve the funding and subsequent purchase of the DuPage Children’s Museum. The 3-acre property in viewed as a gateway to downtown Naperville and the $3 million Naperville is spending to purchase the property is perceived as an exceptional value. Though the museum will now lease the property from Naperville and remain opened, should the museum eventually close, Naperville has a prime piece of property close to the Metra station to develop. Dispite attracting over 300,000 visitors each year, the DuPage Children’s Museum has been struggling to pay a $9 million mortgage held with Chase Bank. In a combined effort between Naperville, Chase Bank, the state, DuPage County, and private contributors, the $9 million mortgage will be eliminated. The City of Naperville will pay $3 million for the museum, while Chase Bank will write-down over $3 million of the outstanding mortgage. The DuPage Children’s Museum will also be receiving close to $2 million in state-funding to add to nearly $1 million in contributions from DuPage County and private contributors. After the purchase, the City of Naperville will no longer provide the museum with nearly $200,000 in annual cultural grant funding. 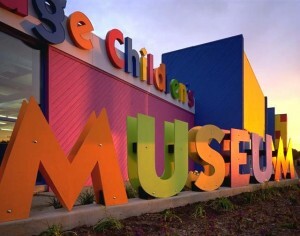 The DuPage Children’s Museum is located on the north-west corner of Washington Street and Spring Avenue (1 mile south of Route 34).